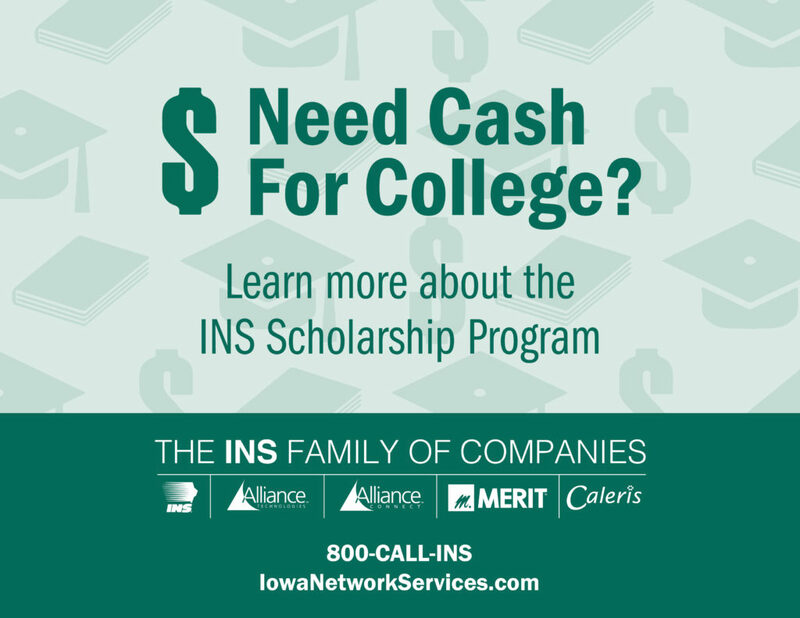 Iowa Network Services has established the INS Scholarship Program for students pursuing a career in science, technology, engineering or mathematics (STEM). High school juniors and graduating seniors during the 2015-2016 school year are eligible. Scholarship awards ranging between $500- $1,000 will be offered to students who have outstanding academic and achievement records. Alpine Communications customers are eligible for the INS Scholarship. Eligible students can begin submitting their entries beginning March 15, 2016 through midnight April 15, 2016. Applicant eligibility and submission requirements are available at https://iowanetworkservices.com/scholarships. The application form is located at https://iowanetworkservices.com/iowa-network-services-scholarship-application. ← Watch The Madness Anywhere – Register for TV Everywhere Today!